Following UK Labor leader Jeremy Corbyn's speech in Belfast and the latest Brexit developments, Sputnik Spoke to Dr. Connal Parr, research fellow in humanities at Northumbria University, for more insight on the issue. Sputnik: Looking at Corbyn’s Belfast speech yesterday and the EU’s negative response to Theresa May’s renewed Brexit plan… How significant are these two important developments? Dr. Connal Parr: We all know that Ireland is the main issue, the stumbling block to Brexit. The Irish border and the places in Northern Ireland which as you may know, 56% of people in Northern Ireland voted to remain, so it’s a region of the UK that’s a remain supporting majority. It’s interesting that Corbyn is reinstating the position to basically back the Good Friday agreement and to make sure a hard border does not come into place on the island of Ireland. Things are different these days, Corbyn is the leader of the [Labour] party and one of the main institutional UK parties and was quite safe in what he was saying. He wants to maintain the Good Friday agreement and make sure that nothing disturbs the peace which is quite fragile in Northern Ireland. Sputnik: Is there a chance some of this rhetoric from Corbyn could ‘rub off’ on Theresa May in the Brexit negotiations? Dr. Connal Parr: No I think that again it’s interesting that he is not deviating from the British government line except to sticking to an older government policy that Theresa May has said, therefore not rocking the boat with this. I think his comments are in some ways quite well judged, because they go against what many people see as his instincts and also the hard Brexit line that we have to go hardball against the EU and Ireland, in these negotiations. Sputnik: So what’s next for Theresa May following Corbyn’s comments and also the EU’s attack on the government’s Brexit plan? Dr. Connal Parr: Well again, this is the issue. The EU has repeatedly referred to how lackluster and unconvinced they are by these negotiations and by specifically that response to the border in Northern Ireland. There are so many inconsistencies in the position; essentially the position from the British government is ‘we will deal with it, after it happens’. It’s confusing to determine, but the British government seems to be ‘let’s get Brexit sorted and arranged and we will sort the rest of the problems that might flow from that later on’. It’s quite understandable to many commentators and people to see why the European Union and Ireland’s government is deeply unsatisfied by that. This is the issue that represents the biggest danger to Brexit. 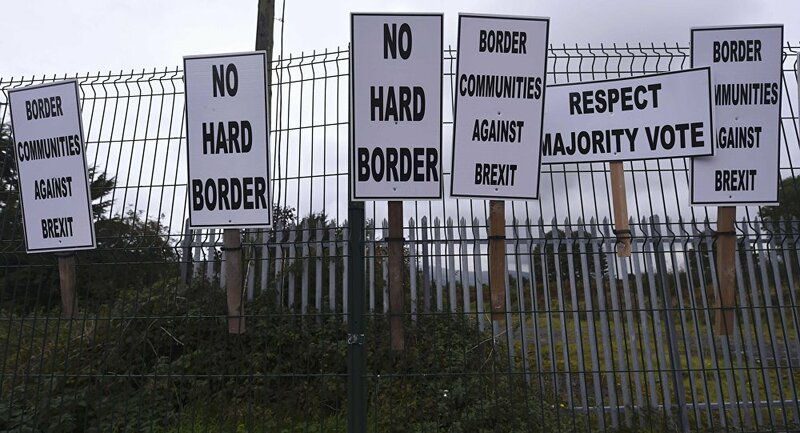 Both the Irish government and the EU have repeatedly slammed Britain’s proposal regarding a border with Ireland, this is just a continuation to their complete rejection and unconvinced attitude towards how the British government are handling this. We are heading into a crunch period surrounding these key issues. Views and opinions expressed in this article are those of Dr. Connal Parr and do not necessarily reflect those of Sputnik.